If you have already a small business set up, or want to set up a new business for selling some products, this is the right time to develop an E-Commerce or Online Store for your products. With the advantage of smartphone and internet facilities it’s easy than ever to buy a products online. Most of the users are using internet to buy a product. For setting up a physical store is very much costlier, where you need to fill various products (physical presence), cost for the interior, than setting up an E-Commerce Store. 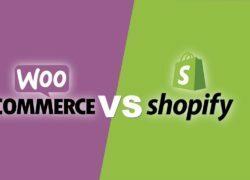 Where there is only one time investment to set up the Online store. In this platform as many as categories and products can be displayed for sale. There are very nominal website maintenance service costs to update the products details etc. As a physical store operates purely location based, reaching a wider space is always challenging. Where as a E-Commerce store there are always a scope to reach wider space upto international masses. If you have a smart e-Commerce website which understands the user’s activities and able to present all the required elements on each page and steps in an intuitive way, user can take the decision without any confusion. As a result there will be fast and more conversions. Operating 24/7 is one of the main advantage that e-commerce provide to buy or sell products. The best thing about this is that the online store operates of it’s own. Buyers can come to the website and choose the items of their own choice. 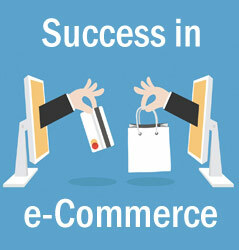 Hope the above points will help you to understand the benefits of the E-Commerce website. 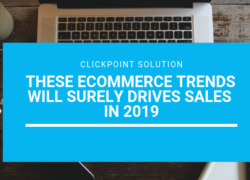 At ClickPoint Solution we are specialized in e-Commerce solutions. Contact Us today to understand & discuss your requirements.